The TENN Roadshow companies have been making their way across the state this week, and Wednesday, they paid a visit to the Gig City. Hosted by Launch Tennessee and The Company Lab, members of Chattanooga’s entrepreneurial community came together at the new downtown workspace Society of Work to celebrate the top 10 companies from the LaunchTN Accelerator Network. (And we were excited to see a few familiar faces!) Among the 10 companies pitching were Bogdana Rakova of HutGrip—recent participant in GIGTANK 2013, and HATponics—a Fall 2013 CO.LAB Accelerator graduate. The event included networking opportunities and elevator pitches, as well as an exciting announcement from local investment group Chattanooga Renaissance Fund. Prior to the lunch event, the TENN teams had the opportunity to pitch and receive feedback from healthcare executives at BlueCross BlueShield of TN’s headquarters. BCBST were also key partners and sponsors of this summer’s GIGTANK program. Other stops for the TENN roadshow bus include: Eastman Chemical in Kingsport, Scripps Networks Interactive in Knoxville, the Hospital Corporation of America (HCA) in Nashville and First Tennessee and FedEx in Memphis. The tour is sponsored locally by First Tennessee Bank, BlueCross BlueShield of Tennessee, and Eastman Chemical. 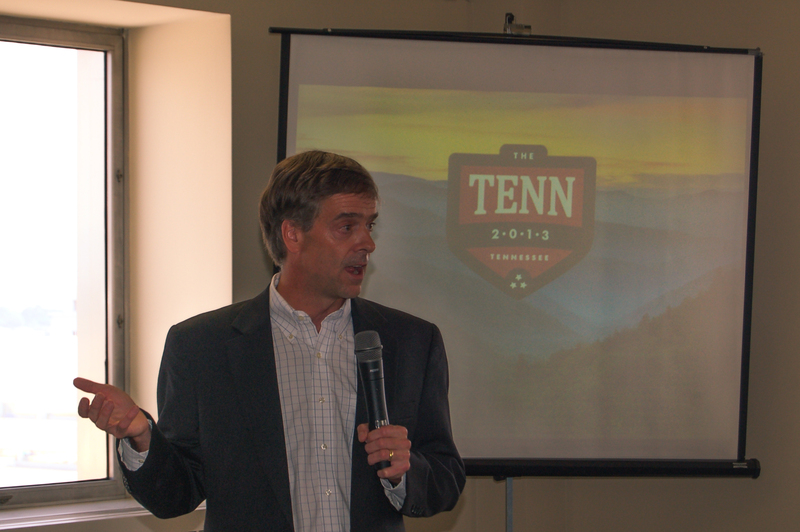 We were happy to welcome the TENN to Chattanooga, and we can’t wait to see what the rest of their trek has in store. To learn more about the TENN companies, check out the official site here, or read this recap from Nooga.